Born in Brazil, 1970. Professional musician since 84. Played with greatest brazilian artists like Marisa Monte and Legião Urbana. Music producer, arranger, programmer, sound designer and audio engineer since 1990. Developing v-synths and applications for live performances. RETROTECH is an electronic music concert created e composed by CARLOS TRILHA. 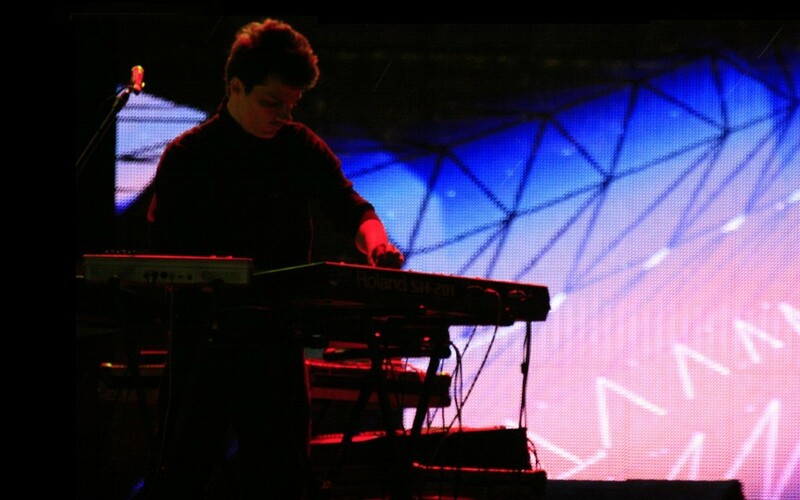 On stage, he use synthesizers, analogue sequencers and drum machines from the 70’s and early 80’s. These historical instruments evoke the origin of characteristic electronic sounds that are now widely used in many types of pop and electronic music. A unique detail of this production is that they do not use loops or sound libraries. All the sounds are created from real instruments and are first generation, allowing RETROTECH to make a striking reinterpretation of the classic sound of electronic music. The highlight of the live performances is the use of rare analog instruments, staged to show the public how these interesting devices work. In addition, RETROTECH also uses a special set of projection images from generative code (created in real time), synchronized by software written with MAX/MSP/JITTER specially for each performance.